Disclaimer: * Kendall Price does not include a $35 electronic filing fee for titling (custom plates do not apply), $115 Documentation fee, tax, title, license, registration or state emission fees. 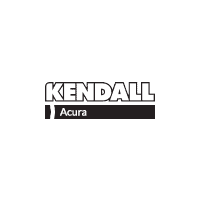 "Instant Savings" includes Kendall Discount and Manufacturer Incentives that all customers qualify for. Please call or visit Kendall Acura of Eugene to see if you qualify for any additional Manufacturer Incentives that are not included in "Instant Savings". While every reasonable effort is made to ensure the accuracy of the vehicle description displayed on this page, dealer makes no warranties, express or implied, with regard to the vehicle or vehicle description. Please verify all vehicle information before entering into a purchase agreement. If the vehicle being purchased is to be financed, the annual percentage rate may be negotiated with the dealer. The dealer may receive a fee or other compensation for processing or arranging financing for the sale. Call or email for complete, specific vehicle information. * Prices shown include a destination & handling charge but do not include taxes or license. Destination charges for ILX, TLX and RLX is $995.00, NSX is $1800.00 and MDX and RDX is $995.00. Actual vehicles/accessory costs, labor and installation vary. Please consult your selected dealer. * Kendall Price does not include a $35 electronic filing fee for titling (custom plates do not apply), $115 Documentation fee, tax, title, license, registration or state emission fees. "Instant Savings" includes Kendall Discount and Manufacturer Incentives that all customers qualify for. Please call or visit Kendall Acura of Eugene to see if you qualify for any additional Manufacturer Incentives that are not included in "Instant Savings". While every reasonable effort is made to ensure the accuracy of the vehicle description displayed on this page, dealer makes no warranties, express or implied, with regard to the vehicle or vehicle description. Please verify all vehicle information before entering into a purchase agreement. If the vehicle being purchased is to be financed, the annual percentage rate may be negotiated with the dealer. The dealer may receive a fee or other compensation for processing or arranging financing for the sale. Call or email for complete, specific vehicle information. * Prices shown include a destination & handling charge but do not include taxes or license. Destination charges for ILX, TLX and RLX is $995.00, NSX is $1800.00 and MDX and RDX is $995.00. Actual vehicles/accessory costs, labor and installation vary. Please consult your selected dealer. Only 4 SH-AWD models left in stock! * Kendall Price does not include a $35 electronic filing fee for titling (custom plates do not apply), $115 Documentation fee, tax, title, license, registration or state emission fees. “Instant Savings” includes Kendall Discount and Manufacturer Incentives that all customers qualify for. Please call or visit Kendall Acura of Eugene to see if you qualify for any additional Manufacturer Incentives that are not included in “Instant Savings”. While every reasonable effort is made to ensure the accuracy of the vehicle description displayed on this page, dealer makes no warranties, express or implied, with regard to the vehicle or vehicle description. Please verify all vehicle information before entering into a purchase agreement. If the vehicle being purchased is to be financed, the annual percentage rate may be negotiated with the dealer. The dealer may receive a fee or other compensation for processing or arranging financing for the sale. Call or email for complete, specific vehicle information. * Prices shown include a destination & handling charge but do not include taxes or license. Destination charges for ILX, TLX and RLX is $995.00, NSX is $1800.00 and MDX and RDX is $995.00. Actual vehicles/accessory costs, labor and installation vary. Please consult your selected dealer. 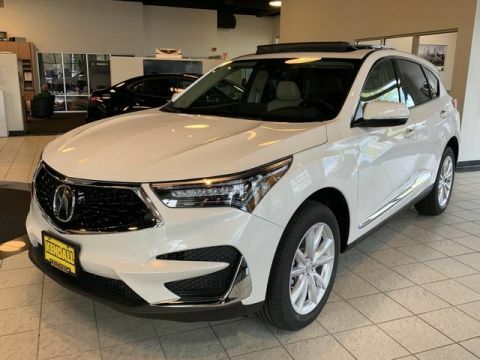 We sell quality new, used, and certified Acura vehicles while maintaining our family values of excellent customer service and community outreach through our Kendall Cares program. We strive to provide you with a hassle-free and enjoyable experience that will leave you with a smile on your face and the car of your dreams in your driveway. † Based on 2019 EPA mileage ratings. Use for comparison purposes only. Your actual mileage will vary, depending on how you drive and maintain your vehicle, driving conditions, battery pack age/condition (hybrid models only) and other factors.